You might recall that back in January, we announced our new and improved Votigo Resource Center. 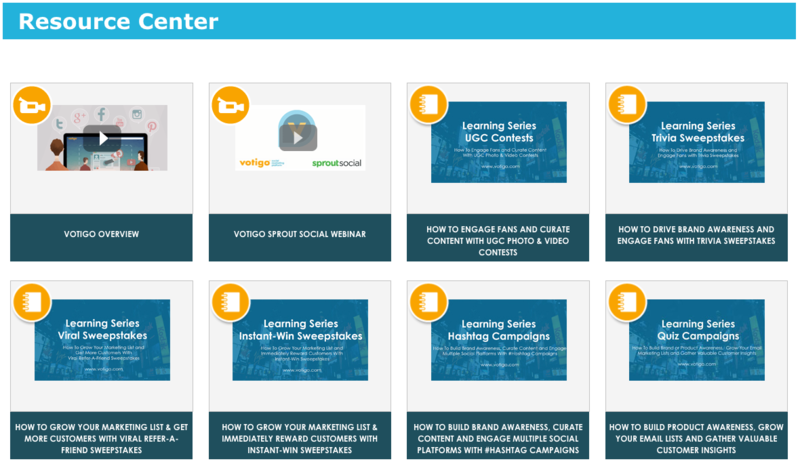 We created this library of resources as a way to share information that we believe will help to inspire our customers as you plan and execute your Social Marketing programs. 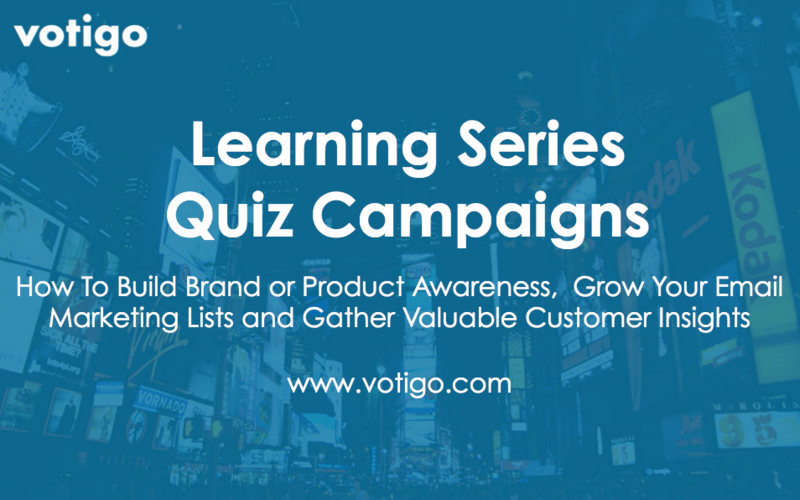 This week, we’re excited to showcase our Quiz Campaigns Learning Series. This guide will show you how to run a promotion that allows you to not only build brand awareness and grow your marketing lists, but also gives you a huge opportunity to learn about your audience for future marketing purposes. In the case of Votigo’s Quiz Campaigns, a series of questions in the form of a quiz allow you to convey pertinent brand or product information to your audience in a fun and engaging way. You can then also use the quiz to ask your audience questions that will help you understand them better – which will in turn help you market to them more effectively! Interested in learning more about Quiz Campaigns in particular, or any of our other campaign offerings? Click here to chat with one of our Account Representatives. This article was originally written by Lewis Robinson for the Heyo Blog. So, you’ve decided to quit your day job to get your very own social media agency off the ground. Congratulations! The road ahead is going to be a challenging one, but at the same time extremely rewarding. With so many powerful social media management tools available to help you make a success of it, there has actually never been a better time to launch a social media marketing agency. The biggest obstacle you’ll face is coming up with strategies to grow your agency while at the same time, providing a consistent level of service to your existing clients. Why did I start a social media business? What makes my agency different? How do my prices and service compare to my competition? At Sendible, we have helped thousands of agencies worldwide implement winning social media strategies for their clients and in turn, expand their agency businesses using our software. In fact, 43% of them started out just like you, with the simple idea of offering affordable social media marketing services within a specific vertical. I’ve personally had the pleasure of seeing some of these agencies grow from literally having just one client to supporting hundreds! Having had the pleasure of speaking with so many agencies over the years and having launched a successful startup myself, here are the 6 most effective tactics I’ve personally adopted at Sendible to gain clients early on. In the early days, it’s critical that you spread the word within your personal network. Let everyone know that you’ve taken the leap and have decided to start your social media agency. You’ll be surprised by how much support you’ll receive and how many introductions your immediate network will be able to make for you! Once you have a few clients, even the free ones, you’ll be able to use case studies and testimonials to attract even more clients. Create a basic landing page on your website. If you don’t yet have a website, you can use a service like Unbounce to validate your startup idea. The landing page should list 1 challenge your prospective clients are facing and how you can solve it for them. There should be a simple form that captures their email address and phone number. Open Excel and add the names of your 20 closest friends and family members along with their email address, where they work, job title, phone number and links to their social media accounts. Later, you’ll extend this to include prospects from LinkedIn and other sources. I hope you’re well. I’m going to be launching a new social media management service for [insert niche/vertical here]. The #1 challenge they face is [insert challenge here] and I want to provide a new type of service that [insert your solution here]. Do you know of anyone in this vertical that I could speak to? I hope you’re well. I’m going to be launching a new social media management service for small independent coffee shops. The #1 challenge they face is competing with the large coffee chains like Starbucks and I want to provide a specialist service that helps them drive more business by spreading the word on social media and attracting more coffee lovers to their establishments. Do you know of any coffee shop owners that may be interested in this? Other agencies and service providers who work with similarly sized clients but offer non-competing services can be a great source of new-business referrals. For example, if you offer social media management solutions for coffee shops, you could find a partner that offers SEO services and loyalty programs for small, independent restaurants. Reach out to these service providers by explaining what you offer. Again, always start with a challenge they may be facing and how you could help them. It’s also worth adding that as you grow, it becomes essential to bring on a partner that can provide the content piece and deliver bespoke blog content for your clients. I’ve heard about the great work you’re doing in SEO for small restaurants. I was wondering if you have ever had any requests to provide social media management as well. I would love to see if we can partner up to offer a package that includes both of our services. Are you free to speak for 15 minutes on Tuesday? Once you’ve developed a relationship with a partner, you may want to host a meetup or webinar to help spread the word about your offering. Cross promotion is a great way to attract new clients and showcase your expertise in the space. Hunter Wills from Wovv.com, compares online relationships to dating. “Did your mom or dad ever tell you the dating rule, ‘Don’t kiss on the first date’? I think that applies to online relationships”, he says. Using the advanced search features on LinkedIn, locate your ideal clients. Add their details to the spreadsheet you created earlier, along with their Twitter and Instagram handles. Every couple of weeks, make some sort of contact with each person in the spreadsheet. Start with a soft touch such as a like or comment on their updates. After a few subtle interactions, look for an article they may enjoy based on their interests and share with them directly. You may also decide to tag them in an interesting photo you find using a hashtag search on Instagram by mentioning them in the comments. Repeat this for 2-3 months and then send an email asking for a quick call. You can gently nudge towards this by mentioning that you’ve been connected for a while and that you’ve enjoyed their content and wanted to get to know their business a bit better. Everyone needs help doing a better job with their social media marketing. As a startup agency, your challenge is to be seen as an expert in your field. Come up with a series of talks that you can present to your ideal prospects online. The idea here is that the first talk will be a free taster session. Use a service like GoToWebinar or Google Hangouts to host your first session. The key is to make it simple for people to register. ‘How do I find attendees?’, you ask. Well, you can easily find new prospects by conducting a search on Quora or Twitter with the question “Where can I learn social media marketing?”, “Is social media training really necessary for a business?” or “What are the best resources for online social media training for small business?” Leave a response with details of a free online training course that you’ll be providing which will answer this question. Explain that the first session is free so there is no up-front commitment. Each registrant then becomes a potential client for your business. Make sure you record your webinars and upload them to Youtube so that you can repurpose them on your blog, social media and direct people to them on Quora. Do remarkable work for your clients and let them build the business for you. By doing great work for your early clients, you can feel confident that they will inevitably bring more business to you through referrals. To avoid disappointment and unhappy clients, start by setting realistic expectations from the get-go. A lot of clients, especially those who are new to social media marketing, will expect to see ROI fairly quickly. You need to make it clear that if they are looking for immediate ROI, there are other, more effective ways to do this and social isn’t always the best channel. However, by agreeing on common goals with your clients and defining steps that move you towards achieving them, your clients will have full transparency on where you are focusing your efforts. Once you’ve signed your first client, start by defining the outcomes. What are they hoping to achieve? Once you know your client’s goals, you can then work backwards and define exactly how you will achieve those objectives. Each step needs to be measurable, time-bound and specific. You would then define the measurable steps and strategies needed to get your client closer to reaching their desired outcome. These are SMART goals. SMART goals are Specific, Measurable, Achievable, Relevant and Timely. Publish 1 blog post per week educating readers on the source of the coffee shop’s beans and flavors with each blog post achieving at least 20 shares on social media. Post 2 photos of food and coffee from the coffee shop to Instagram every day with at least 20 likes per photo. Increase Instagram followers by 100% by the end of the first month. Drive at least 10 conversations on Twitter each week that show a positive intent from someone new to visit the coffee shop. Add 5 more positive reviews on Yelp by the end of February. By agreeing the objectives and key results needed to help your client be successful over a given period, you can prevent having to patch up relationships with disappointed clients later on. Since everything is agreed and signed off on up-front, as long as you can deliver progress towards the agreed-upon goals, you can be almost certain that you will have happy clients who are willing to recommend your service to others. You can also use this as a tactic later on to show your clients what you could potentially achieve with increased budgets. It’s important that you maintain a consistently high quality of work as you bring on more clients. The worst thing that can happen is that you start to grow and your first few clients who benefitted from most of your attention early on suddenly start to notice your level of service slipping and decide to leave you. Don’t be greedy. If taking on a new business means that the quality drops for your existing clients, say no for the moment and work on scaling up your operations to support your new demands. You need to have an advanced social media management tool in place to ensure you can offer the same high level of service your clients have come to expect from you as you grow. You may want to select a lesser-known tool to give your agency the edge over competitors. Offer them something they can’t find elsewhere. The tool you select should be designed specifically with startup agencies in mind, as you need a solution that gives you the productivity benefits to be able to go out and pitch to new prospects whilst at the same time, delighting your existing clients with excellent work. A unified social inbox. The biggest mistake that startup agencies make is using a tool like Tweetdeck or Hootsuite to manage each of their clients’ streams individually. You don’t want to be jumping between your Twitter, Facebook, LinkedIn, YouTube, Google+ and Instagram streams for each of your clients. You need a single-view, priority inbox for each client that allows you to respond to conversations from anywhere, no matter the source. A focus on social media productivity to help startup agencies service multiple clients easily and efficiently. You have limited resources, so the tool needs to act as an extra pair of hands! You should be using the additional time it gives you to pitch to new clients and grow your agency. Content approval workflows that allow your clients to approve content before it goes out. This is also critical as you start to grow your team so that you can maintain the quality by double-checking content before it’s published. The worst that can happen is that you are responsible for ruining the reputation of one of the brands you’re managing! The ability to bulk import content from a CSV file for each of your clients. The last thing you want to be doing is manually scheduling content for clients individually. Make sure the tool you select allows you to import your client’s campaigns with one click. Easily source engaging content on specific topics for your clients that is more likely to drive positive interactions with the brand. Finding content can be extremely time consuming. The tool you select should recommend high quality content that will resonate with your client’s audience. Automation of time-consuming lead generation activities such as social listening, conversation starters and growth hacks. We all know that one of the strategies employed by experts to grow a following rapidly is to engage with influencers by listening and adding value to conversations. Make sure the tool you choose allows you to automate some of these activities. The option to create logins for your clients so that they can collaborate with you more easily on social media. The more transparent you can be with clients, the more trust you can build. By providing a login to your social media management software for clients, you can assign them conversations, share your progress and they can easily see where your efforts are going. This will come in handy when their contracts are up for renewal! Produce great-looking reports for clients to showcase your progress. It’s essential that the social media solution you choose makes it simple to automate the delivery via email of insightful PDF reports for your clients. You need to show progress against the client’s goals, so a social media management tool that offers advanced reporting capabilities is essential. Partner with a trusted platform that not only helps you deliver a superior social media management service to your clients but also enhances your productivity. Remember, to grow, you need to be able to provide the same high level of service to clients at scale. This article was originally written by Gavin Hammar for the Heyo blog. Our second strategy is one that involves getting people excited about your brand through things like sweepstakes, contests, or marketing campaigns. Check out user-friendly tools like Votigo that help you create a variety of different promotions without the need for complex coding. This article was originally written by Trey Donaldson for the Heyo blog. New Live Examples of Contests and Sweepstakes from Votigo! It’s already a busy week here at Votigo, and we have two new live promotions to share with you! Both A+E Networks and The Connecticut Sun have launched some cool campaigns that each take a different approach at engaging their audience and creating a unique user experience. One is a Viral Enter-to-Win Sweepstakes and the other is a Photo Contest. We hope they help inspire you as you start to plan your next promotion! In order to capture fans of the Bates Motel series into an addressable audience, A+E Networks is running an engaging Enter-To-Win Sweepstakes with a viral incentive. Fans are entered to win a super cool prize package that will let them enjoy the popular TV series long after it’s over. Here’s how it works: Fans just need to submit their info for the chance to win. Then, each registrant will receive an individual referral URL with their entry confirmation that they can share via email and all their social networks to spread the word (Great for the organic ‘buzz factor’!). For each friend that enters through that unique referral URL, the original person will be rewarded with an additional entry. Since sweeps have one of the lowest barriers to entry on the social promotions spectrum, registrations will usually be high. Referral-based promotions like this one do a great job of generating broad-reach brand and campaign awareness. Built on Votigo’s Enterprise Platform, this sweepstakes also features newsletter opt-in functionality, social sharing and mobile responsive design. To commemorate its 15th season as a WNBA team, the Connecticut Sun is inviting their fans to submit a photo of what the team means to them for a chance to have their photo appear in a mural to be displayed at the Mohegan Sun Arena! UGC Contests like this one are a great way to allow your audience to participate in the conversation for your brand, while also giving YOU a great opportunity to curate relevant brand content! Also built on Votigo’s Enterprise Platform, this campaign features photo content moderation, gallery display and mobile responsive design. 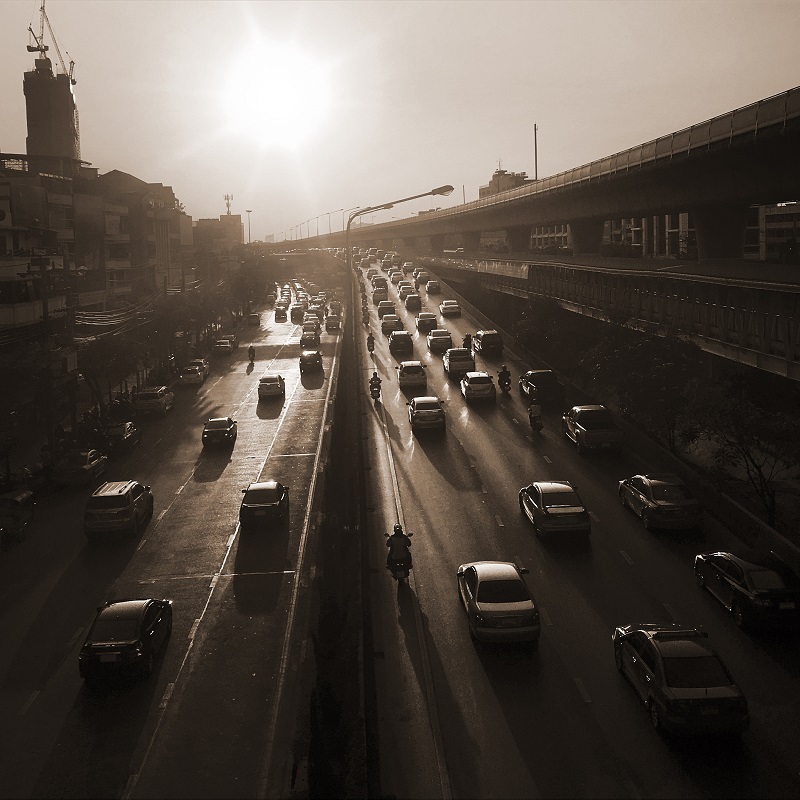 Unlike when you’re driving, traffic is something you want when you’re starting a blog. Traffic measures the number of people who are visiting your site and where they are coming from. Today’s connected world allows people to access your site from a wide variety of avenues. They won’t always type it directly into the search bar. Sometimes they’ll come from social media or from Google, or from another site entirely. If your blog is a beating heart, then traffic is the blood that flows through its veins. This is how you bring people into your brand, convert them into paying customers, and engage with them as well. Traffic is everything, but not all traffic is created equal. Let’s take a look at the five main types of traffic you can expect to get to your site, and how you can improve upon and harness them. This first type of traffic is about as simple as it gets. This is the type of traffic that occurs when someone types your URL into their web browser and comes directly to your site. You won’t have a lot of this at the beginning, but if you promote your blog everywhere, you’ll soon find that people come directly to you. This type of traffic can be improved upon with the right promotions and brand building. It comes with time as people get to know your brand and it appears at the top of their mind when they are searching for similar products or services. Most likely, these will be visitors who have been to your site before and who had a great experience. Organic search is the currency of search engine optimization (SEO). This is the traffic you watch to see how your optimization efforts are going and measure progress against. Improving your organic search is something you can easily do with the proper strategies in place. Use tools like io to find and target long-tail keywords (more than 2 words in the phrase). Approach your content with the goal of providing in-depth information and value. Write for people, not search engines. Look to your competition for topic ideas and focus on things your audience is talking about. These are just some of the ways you can increase your organic traffic. Google has literally hundreds of factors they take into account when ranking websites, so every little bit counts. Our next type of traffic comes from social media platforms like Facebook, Twitter, and Instagram. People may have clicked an ad, or they could have followed one of your posts to your site. Either way, if you’re seeing this then you’re doing something right with your social media marketing. Improving this type of traffic comes from exercising control. Don’t try to be everywhere all the time on social media platforms. Choose the ones that your audience is most active on and focus your efforts there. Another way to improve this traffic is to boost or promote posts that tend to perform well. Facebook, for example, offers this at a starting price of just $5. Referral traffic results from someone clicking a link on another website that leads to your own. Known as backlinks, these are a huge SEO strategy and a clear sign to Google that people see you as an authority. Referral traffic is improved upon by earning new backlinks for your site. The best way to do this, beyond creating great content, is to write guest posts on other sites. Many other blogs in your niche most likely accept guest posts and will offer you a link back to your site within it. This will help you build avenues back to your site, which will in turn generate referral traffic. Finally, there’s always the option to make an investment. Whether this is in the form of ads on social media or a PPC (pay-per-click) campaign, there are ways to leverage capital in the interest of bring people to your site. A great example would be to run a sweepstakes or contest on your site. This would generate huge amounts of buzz around your brand and give you the opportunity to welcome countless new people to your online community. Improving this type of traffic is done through research and targeted campaigns that utilize data about your audience to make the best decisions and reach the right people. Traffic is incredibly important, but it’s arguably more important that you understand and leverage the various types of traffic that come into your site. This will help you target the right kinds of people and ultimately get more from each visitor. How do you prioritize and improve your traffic? Let us know in the comments! This article was contributed by guest author Amy Winer. 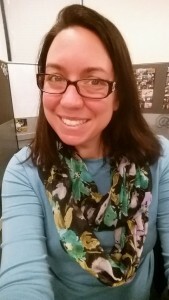 Amy is a veteran blogger who specializes in working with analytics and traffic management. She helps others understand and harness the power of their blogs to the fullest potential. Live examples of campaigns that are using Votigo’s technology are a great way to understand how our platform works. They can also help inspire you as you plan your next promotion! This week, we’re excited to share two new sweepstakes examples from AccuWeather and Hess Collection, because they represent the different ways you can use Votigo’s sweepstakes applications to generate leads and activate your audience. Sweepstakes are a great way to grow your marketing database and drive brand awareness. Since they usually only require users to complete a quick registration form in order to enter, their barrier to entry is low, which means your chance of engagement is high. Let’s see how AccuWeather and Hess Collection are making our Sweepstakes applications work for them! Over the last two years, Votigo has helped AccuWeather achieve their specific brand awareness objectives by running Instant Win Sweepstakes. 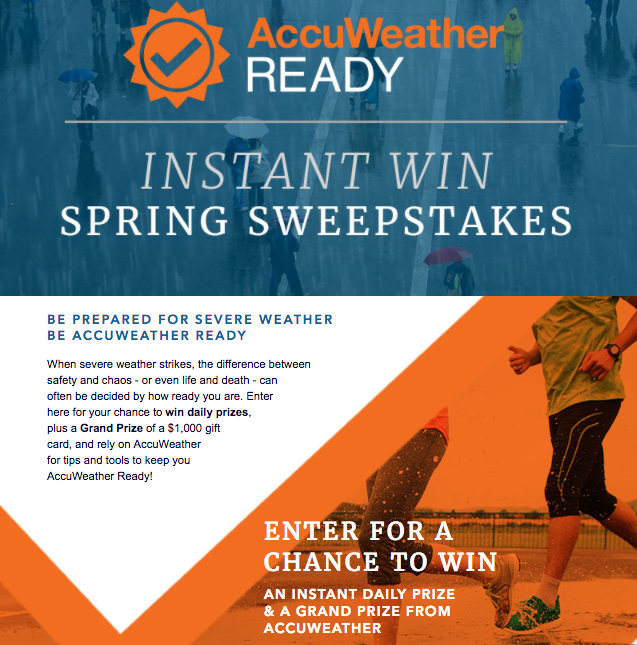 The primary goal of these sweepstakes is to drive positive brand affinity and, more importantly, establish AccuWeather as the leader and authority in their industry. Built by Votigo’s talented Full-Service Development Team, this campaign features a viral refer-a-friend incentive, social sharing functionality and mobile optimization. 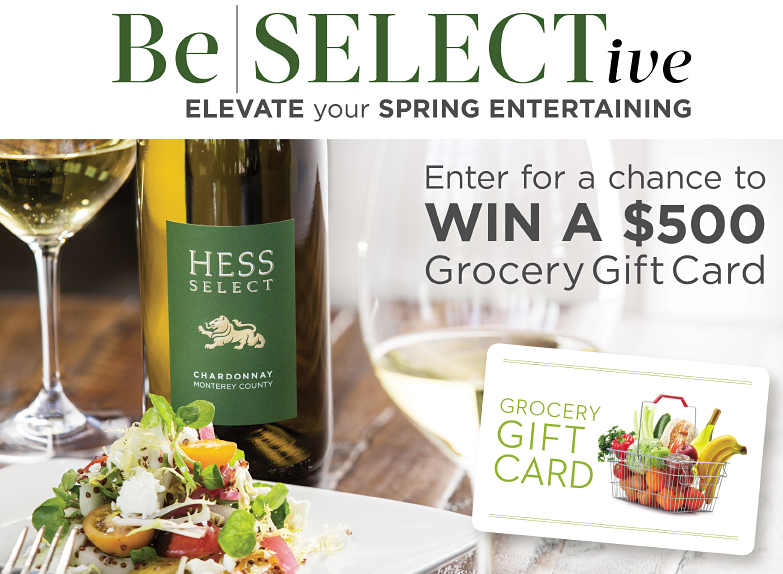 In their sweepstakes, Hess Collection is inviting their fans to enter to win a gift card that they can use towards the creation of a perfect Spring dinner party. Along with providing a great way for the brand to grow their marketing database, this particular concept does a great job at positioning the brand in a place of relevance when it comes to elevated entertaining. That goes a long way when it comes to brand affinity! Also built by Votigo’s Talented Full-Service Development Team, this campaign features newsletter opt-in functionality, custom drop-down options within registration and mobile optimization. 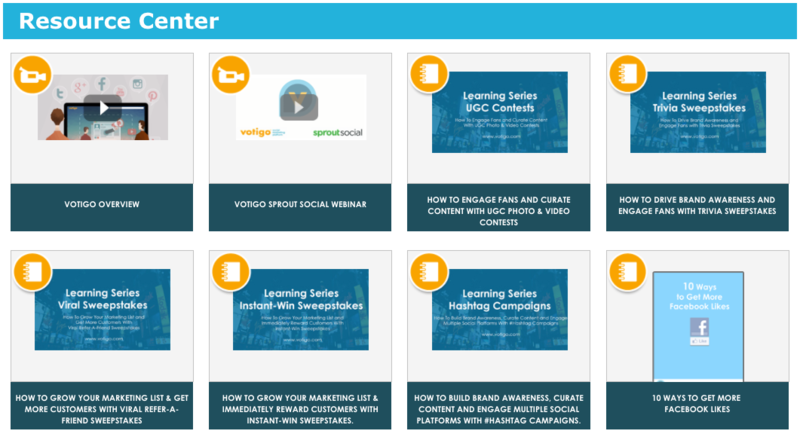 Want to learn how Votigo’s sweepstakes applications can go to work for your brand? Click here to chat with one of our Account Representatives. You might recall that a few weeks ago, we announced the unveiling of our new and improved Votigo Resource Center. We created this library of resources as a way to share information that we believe will help inspire our customers as you plan and execute your Social Marketing programs. 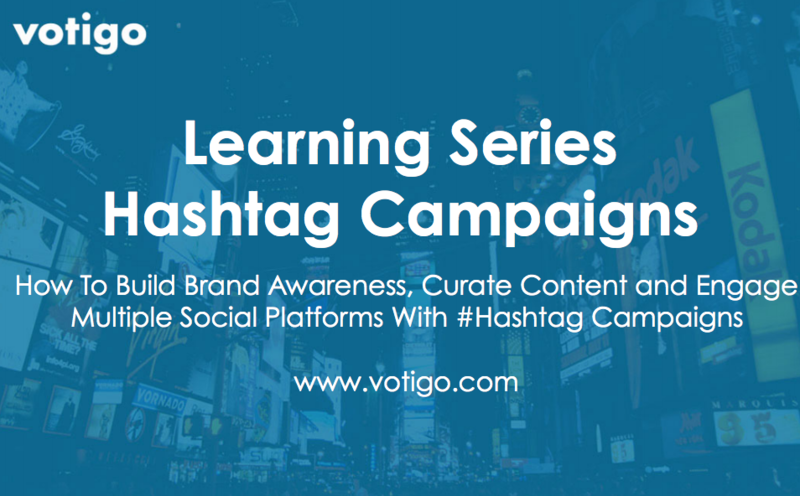 This week, we’re excited to showcase our Hashtag Campaigns Learning Series. This guide will show you how to run a promotion that allows you to build brand awareness, curate content and engage multiple social platforms all at the same time! Hashtag campaigns let your followers enter a promotion through their Instagram and Twitter accounts as well as directly from a Facebook page or Website. This way, people can participate from the platform they are most comfortable with, which is a great way to ensure high levels of campaign engagement for your brand! Interested in learning more about Hashtag Campaigns in particular, or any of our other campaign offerings? Click here to chat with one of our Account Representatives. We love sharing live examples of Votigo promotions with you because we really believe they are the best way to understand Votigo’s services. They’re also a great way to get inspired as you plan YOUR next promotion! This week, we’re happy to share two cool new promotions from Straus News and Rox Volleyball. Take a look! Photo contests are a great way to engage your audience while taking an opportunity to curate meaningful user-generated content. They’re also a great way to bring your fans into the conversation for your brand. 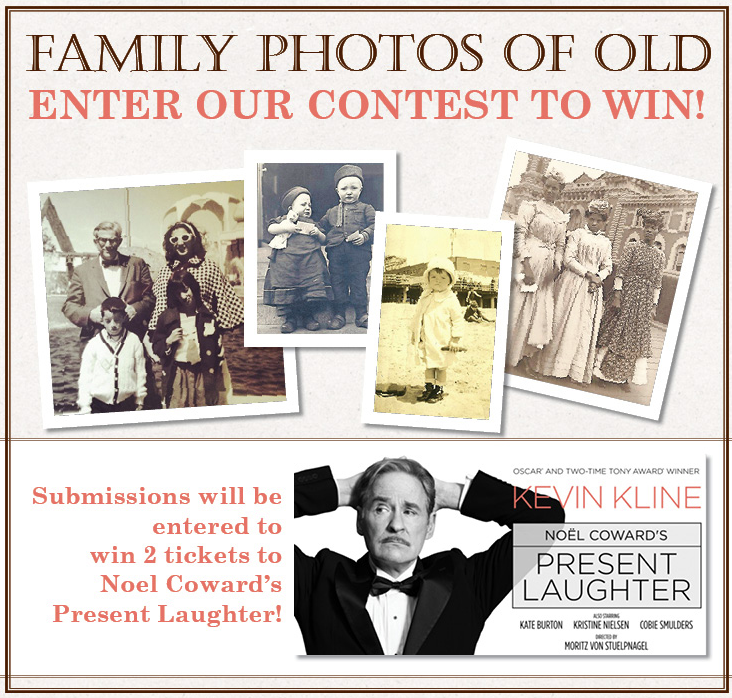 In this campaign, Straus News is inviting their fans to submit historic family photos, along with a description, for a chance to be featured in an upcoming edition of the paper. The effort of finding a photo and writing a description to go along with it makes these contest participants highly engaged and qualified, which is extremely valuable for Straus News from a lead generation perspective. This campaign was built using Votigo’s Self-Serve Enterprise Platform and features mobile-responsive design, content moderation and user voting functionality. #Hashtag campaigns are a great way to engage fans that are active on Instagram or Twitter — And with Votigo’s Platform, you can build a campaign hub to serve as a home for all of the content that is submitted for entry. In this campaign, Rox Volleyball is inviting their fans to share a photo that illustrates what volleyball means to them for a chance to win a high-value scholarship! No matter which way someone enters (directly on desktop or using a #hashtag on Instagram or Twitter), their photo will appear in the main contest gallery! Also built using Votigo’s Self-Serve Platform, this campaign features both direct and #hashtag entry, mobile responsive design and social sharing functionality. Welcome back for week five in our “Learn From the Pros” Blog Series! We launched this series as a way to share insights on Social Marketing across our customer base, with the ultimate goal being to learn from each other as we navigate the various ways contests and sweepstakes can be leveraged for brand success. This week we’re chatting with Colette Murphy from Daybreak Games. We’ve been working with Colette and her team for just about five years now, and we’re excited to share her thoughts on how contests & sweepstakes have helped her achieve Daybreak Games’ brand objectives. Colette brings some terrific insights to the table, so we hope you enjoy! Votigo: How long have you been with Daybreak Games? Colette: I’ve been working with the company since 2012 (though we didn’t officially become Daybreak Games until 2015). Colette: My title is Communications Manager. I oversee our social media channels, our web blog content, and our promotions and giveaways. I’m also the resident grammar fanatic, and help with copyediting whenever the need arises. In 2012, a position opened up on the Community team, and I became a Community Manager. While in that position, I found a great deal of cross-department mentors in Marketing, who helped foster my interest in social media practices. Eventually, I moved in to the position I’m in now. I took a very non-traditional route to get here. After getting my Master’s Degree in Mass Communications and Media Studies at San Diego State University, I spent a number of years teaching at local community colleges. In that time, I also took an interest in social media and community management, doing so on a volunteer basis for wedding and event planning services, local theatre groups, and student organizations on college campuses. I actually never considered doing it as a career until I learned about the position that led me to this company! Votigo: What are your biggest goals & initiatives for Daybreak Games this year? Colette: Our company is incredibly community-focused. Our goals are always to provide new, interesting ways for our players to interact with our games and our development teams. We love gathering user-generated content and highlighting the creativity and passion of the people who play our games. Colette: Contests are an additional way we celebrate our players. From screenshot capture contests for virtual items to a chance to win a trip to our H1Z1 invitational, we really like the ability to highlight our players’ talents and excitement for our games. Some months have less, and some have a lot more, but we typically run at least one larger scale contest per month. We primarily run contests and sweepstakes on Twitter and through the Votigo microsites, which we promote on Facebook, our websites, and our game forums. Colette: We go where the conversations are, which usually depends on the audience demographics for the product. Some of our older games have much larger audiences on Facebook, because the games came out before Twitter even existed! Our newer products have very active Twitter followings, but aren’t as big on website traffic. So, it really varies. The key is seeing where you get the highest engagement, and making sure you stay involved there as much as possible. Colette: We tend to run a variety of campaigns, so this is a tough question! I don’t think we’ve tried an “Instant Win” one yet, but it’s definitely something we’ll consider this year. Colette: We enjoy the flexibility offered by the Votigo self-serve Enterprise tool. We use our in-house legal team for rules drafting and our in-house creative teams to help build out the headers and visual look and feel of our microsites, but we like having the analytics and management portion handled by the platform itself. Colette: Try lots of different things, and don’t be discouraged if one doesn’t work out the first time. If you try an essay contest and only get a few replies, switch to photo or video the next time – your audience might be more interested in visual mediums! Colette: How much time do you have? Haha. Since my focus is on social media, I tend to stick to blogs. Social Media Examiner is a big favorite of mine. There’s often a lot of good information to be found in any blog from an Enterprise Platform service, like Hootsuite or Buffer or Sprout. RazorSocial is also a good resource, with lots of topics covered. Thanks for participating in “Learn From the Pros”, Colette!